Huey P. Long supported the presidential campaign of Franklin D. Roosevelt in 1932. However, he was highly critical of some aspects of the New Deal. He disliked the Emergency Banking Act because it did little to help small, local banks. Long bitterly attacked the National Recovery Act for the system of wage and price codes it established. He correctly forecasted that the codes would be written by the leaders of the industries involved and would result in price-fixing. Long told the Senate: "Every fault of socialism is found is this bill, without one of its virtues." Long claimed that Roosevelt had done little to redistribute wealth. When Roosevelt refused to introduce legislation to place ceilings on personal incomes, private fortunes and inheritances, Long launched his Share Our Wealth Society. In February 1934 Long announced a scheme to rectify the existing maldistribution of wealth in the United States. He told the Senate: "Unless we provide for redistribution of wealth in this country, the country is doomed." He added the nation faced a choice, it could limit large fortunes and provide a decent standard of life for its citizens, or it could wait for the inevitable revolution. Some critics pointed out that all wealth was not in the form of money. Most of America's richest people had their wealth in land, buildings, stocks and bonds. It would be very difficult to evaluate and liquidate this wealth. When this was put to Long he replied: "I am going to have to call in some great minds to help me." Leaders of the Communist Party and Socialist Party also attacked Long's plan. Alex Bittelman, a communist in New York wrote: "Long says he wants to do away with concentration of wealth without doing away with capitalism. This is humbug. This is fascist demagogy." Norman Thomas claimed that Long's Share Our Wealth scheme was an insufficient and dangerous delusion. He added that it was the "sort of talk that Hitler fed the Germans and in my opinion it is positively dangerous because it fools the people." Huey P. Long admitted that certain aspects of his scheme was socialistic. He said to a reporter from The Nation: Will you please tell me what sense there is running on a socialist ticket in America today? What's the use of being right only to be defeated? On another occasion he argued: "We haven't a Communist or Socialist in Louisiana. 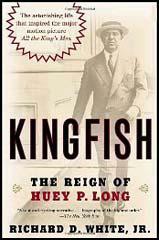 Huey P. Long is the greatest enemy that the Communists and Socialists have to deal with." Some economists claimed that if the Share Our Wealth plan was implemented it would bring and end to the Great Depression. They pointed out that one of the major causes of the economic downturn was the insufficient distribution of purchasing power among the population. If poor families had their incomes increased they would spend this extra money on goods being produced by American industry and agriculture and would therefore stimulate the economy and create more jobs. In May 1935 Long began having talks with Charles Coughlin, Francis Townsend, Gerald L. K. Smith, Milo Reno and Floyd B. Olson about a joint campaign to take on President Franklin D. Roosevelt in the 1936 presidential elections. Two months later Long announced that his police had discovered a plot to kill him. He now surrounded himself with six armed bodyguards. On the 8th September, 1935, Carl Weiss, a physician and the son-in-law of Benjamin Pavy, shot Huey P. Long while he was in the state senate. Long's bodyguards immediately killed Weiss. At first it was thought that Long was not seriously wounded and an operation was carried out to repair the wound. However, the surgeons had failed to detect a bullet had hit his kidney. By the time this was discovered Long was to weak to endure another operation. 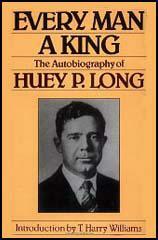 Huey Long died on 10th September, 1935. According to his sister, Lucille Long, his last words were: "Don't let me die, I have got so much to do." By November 1934 the "Share Our Wealth" campaign had recruited 3,687,'641 members throughout the country in eight months. (The population of Louisiana is only 2,000,000.) Every member belongs to a society, and Huey has the addresses of those who organized it. To them can go circulars enough for all members. The "Share Our Wealth" organization is first of all a glorified mailing list, already one of the largest in the land, but certain to grow much larger once the Long campaign gets under way. It is the nucleus of a nation-wide political machine. And though the movement is naively simple, its very simplicity is one secret of its success. Anyone can form a society. Its members pay no dues. They send an address to Huey and he supplies them with his literature, including a copy of his autobiography. He urges societies to meet and discuss the redistribution of wealth and the rest of his platform. He promises to furnish answers and arguments needed to silence critics. In 1934 Long formalized the program which he hoped would eventually win him the Presidency. The hazy concept of a national redistribution of wealth, presented fifteen years before by the obscure state Senator from Winn Parish, took definable shape in a national "Share Our Wealth" organization. No dues were necessary. Huey produced the expense money as easily as the nation disgorged the followers, both by the hundreds of thousands. No matter that the Share Our Wealth program was demonstrably impracticable as presented. It was believable: a limitation of fortunes to $5,000,000; an annual income minimum of $2,000 to $2,500 and a maximum of $1,800,000; a homestead grant of $6,000 for every family; free education from kindergarten through college; bonuses for veterans, old-age pensions, radios, automobiles, an abundance of cheap food through governmental purchase and storage of surpluses.